The last thing you want to do is carry someone else's financial mistakes. Nor do you want to waste time battling to sort out your credit history. In preliminary findings of a Federal Trade Commission study, consumers reported they were fairly satisfied with the process of getting errors removed from their credit reports, even if they didn't always get the exact outcome they wanted. In the assessment, which examines both the accuracy of the credit report information and ease of the correction process, the FTC worked with 1,000 randomly selected consumers, says Peter Vander Nat, senior economist at the Commission. After viewing their own reports, roughly 25 percent of the consumers in the study chose to dispute material items on their credit histories, says Vander Nat. "In terms of the 1,000 consumers we dealt with, the good news is that they expressed high satisfaction with the process," he says. "But in some situations, the thing they wanted changed wasn't changed." 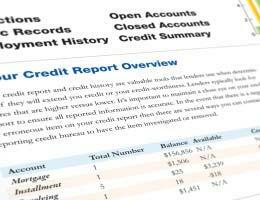 What you may not know: Not every creditor reports to every credit bureau. 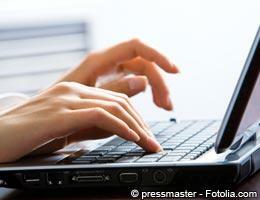 Some reports will contain a different combination of credit accounts. It's partly for this reason that your credit scores can differ, too. If a debt that's not yours is showing up on one credit report, you need to know if it or any other erroneous debts are showing up on your other reports. Now that you have the three reports in front of you, go through and circle every item that's not yours. 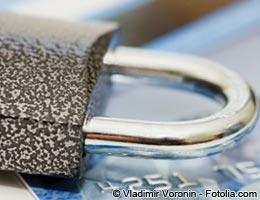 Unfamiliar debt on your credit report doesn't automatically mean identity theft. It also could be creditors or collectors trying to repost old or expired debt that should have come off your report. Or it could be the result of what credit bureaus dub a "mixed file." Some mixed-file situations involve people (or family members) with similar names, Social Security numbers and/or addresses, says Maxine Sweet, vice president of public education for credit bureau Experian. "Very often, it's a father/son or mother/daughter" whose information is similar or who have shared an address, Sweet says. 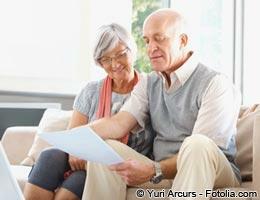 If a father and son share the same name, "many times, senior doesn't think to put 'senior'" on accounts, she says. You can file a dispute by phone, letter or through the agency's website. If you call, it's smart to follow up in writing so you have a record of your contact. When a consumer disputes a credit report item, an employee will translate the reason for the request into a two- or three-digit computer code, says Chi Chi Wu, staff attorney with the National Consumer Law Center. With an online request, "they don't even need the employee," she says. An investigation requires "real people with real skills to analyze the situation and decide who's right and who's wrong," says Wu. It's helpful to start a paper trail, either way. You also want to contact the creditor who furnished the debt data to the bureau, and make the lender aware the obligation isn't yours. Here's why: When a bureau investigates a debt, what they often do is contact the data furnisher (the creditor who believes the debt is yours), and ask if the debt belongs to you. If the creditor says "yes," that concludes the investigation, says Barry Paperno, consumer affairs manager with FICO, the company that pioneered credit scoring. If you phone the creditor, then bypass collections or sales and speak with someone in management who should be familiar with the creditor's responsibilities under the law, says Sherry. If someone is racking up charges in your name, that's a good case for acting fast -- and calling instead of writing a letter. Another option is what's called a fraud alert. Not as restrictive as a credit freeze, it "alerts" creditors to your fraud-victim status so they know to take extra care to verify your identity in the future. Place an alert with one credit bureau, and it will appear on your records with all three, says Ulzheimer. And it's free if you suspect you may be a fraud victim. With identity theft, the police will understand that what you need is the paperwork showing you've reported the crime to authorities, says Beltran. Many companies will also accept an FTC affidavit, Beltran says. You can print one from the Federal Trade Commission's website at FTC.gov. "Getting the account off your credit report initially isn't that hard -- making sure it stays off your report is a different issue," says Ulzheimer, who's been through the back-and-forth of having an incorrect item removed only to have it pop back up again. It's smart to keep a close eye on your reports for a few months, just to make sure items don't reappear, he says. Since much of the process of credit reporting is automated, Ulzheimer says, "not only do (bureaus) have to remove it the first time, but they have to make sure it doesn't get re-reported." Also important: Save all subsequent credit reports, including the ones that show the item has been removed, says Sherry. If the item keeps reappearing on your history, you'll need those, she says. If you've done everything you can and the credit bureaus and/or creditors are refusing to correct the situation, it might be time to get legal help. Attorneys take these cases on contingency -- meaning they get a percentage only if they win the case, she says. So, it shouldn't cost anything to retain counsel. If someone charges an upfront fee, look elsewhere, she says. Sometimes just having an attorney is enough to get the situation corrected, says Sherry, who learned that lesson when she was handling a dispute herself. When her attorney's letter arrived explaining that the debt belonged to someone else, the item disappeared permanently from her credit history. "If it doesn't seem to be going your way," Sherry says, "talk to an FCRA attorney."